Providing you the best range of industrial sheds, portable buildings, pre fab building, pre fabricated structure and pre fabricated metal building with effective & timely delivery. Color Blue , White , green. We are engaged in manufacturing, supplying and exporting of site offices, modular offices, portable offices, industrial site office. These site offices are manufactured by using high density insulated puf panel made up of polyurethane foam. These site offices are characterized as simple and functional office from smart space offer, these office are manufactured and designed as such keeping in mind all the requirement of clients. We are an iso 14001-2004 certified company. Our esteemed clients are dell, perfetti, videcon, pepsi, idmc, lg, rotary international, hp, lanka bell, lanco energy, siemens, jindal steel, tata, petro system, kurl-on, jbg and many more brand names. 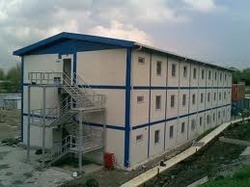 We are engaged in offering patrons a wide variety of Pre fab Building of premium quality. These buildings are manufactured by our team of skilled professionals making optimum utilization of advance technology, quality-approved raw material and high-grade tools. Highly durable these buildings can be availed by customers in various sizes, patterns and designs. 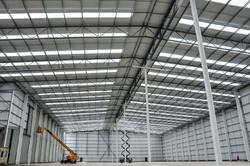 With the help of our experts, we provide a comprehensive range of Pre-Fabricated Shed to our clients as per their requirement. Our range is provided in different specifications that meet the individual requirement of our clients. 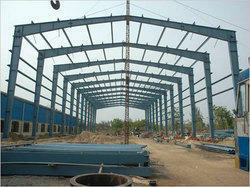 We also offer our range in Large Spans Multi Spans, Lean To Roof etc. It is ideal for vehicle stand, community halls, canopy, factory sheds, godown, poultry sheds, green house etc. 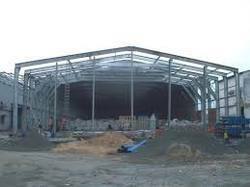 We are a prestigious company engaged in offering a wide range of Prefabricated Buildings. Offered Prefabricated Buildings are manufactured by our experts using best quality material and sophisticated technology. These are highly reckoned among our clients due to their fine quality, durability and reliable nature. Moreover, we also assure to deliver our products in a committed time frame. Looking for Pre Engineering Buliding ?